The phone has changed dramatically in the past 5 years, and Apple was the first to introduce a product that started a whole new era in telecommunication – the iPhone. The late Steve Jobs launched iPhone for the first time in June 29 2007. A smartphone is basically a pocket PC, as it can virtually simulate any task that you could to with a personal computer and even more – from playing games to editing documents, taking and sharing photos and videos, surfing the web, and much more. Each brand is having its own operating system (for example HTC and some of Nokia’s phones use Android, while others use Windows Mobile). In our case iPhone uses iOS, and there’s a huge market for it. Hundreds of developers appear every day with crazy applications meant to entertain you, while others work on improving the experience of having a smartphone. Our top will include 10 of the best iPhone app developers. Open Door Networks developed five $1 apps – Art Envi, Comic Envi, Kid Book Envi, News Envi, and Space Envi and a $10 iEnvision application that contains all of the aforementioned categories and more. It has been built for both iPhone and iPod touch and it allows users to browse famous work of arts, comic strips, newspaper content, astronomy pictures, and classic children’s books. The developers have done their best to create a simple to use but powerful application. Art Envi was the #1 paid app in the Japanese App Store. Our number 9 in the 10 Best iPhone app developers is Freeverse who managed to understand iPhone’s 3D and audio hardware capabilities in a manner that surprised smartphone users. Freeverse developed Wingnuts Motoracer, a fantastic puzzle game – Big Bang Sudoku, SimStapler and Jared. Their design has been step forward for game developers, and we hope to see more of their work in the near future. Pandora Media is the developer of the impressive Pandora Radio, an application similar to AOL Radio. It is a streaming-based radio service which allows users to listen to music directly from the Internet. It has been built to work on iPhone and iPod touch, and one of its most prized features is the way it organizes music. Pandora Radio’s search engine is just amazing. Not only you can look-up for an artist’s song and Pandora is then doing all the work, but the application is also making use of Music Genome Project – an amazing project that shows not only your search terms, but also includes related content. Besides the fact that you must create a user in order to use Pandora Radio, the service is completely free. Trism is a very witty puzzle game developed by Demiforce. It may become (if time and effort is to be invested in it) iPhone’s Tetris in the near future. The developer brilliantly made use of iPhone’s touch screen, accelerometer controls, graphic and sound capabilities. It features unlockable achievements and multiple play modes – a great way to entertain yourself whenever you feel like it. Taking the sixth place in our best iPhone app developers PopCap Games is the company behind Bejeweled and Bejeweled 2, two of the most famous games on iPhone market. 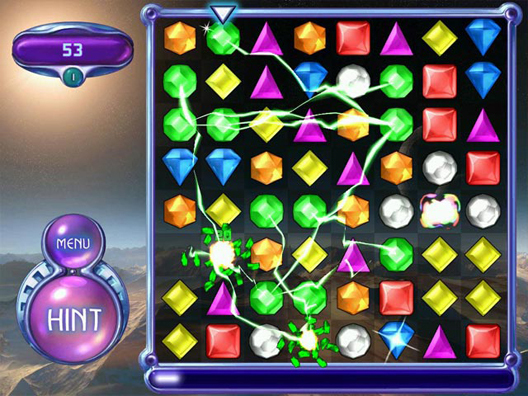 Besides the two, PopCap also developed one of the best Click Wheel iPod game – Peggle. Short for America Online Inc. the company has launched AIM and AOL Radio. We’re gonna say a few words about the first, as it’s an amazing alternative for Apple’s iChat (and it’s also cheaper). The AOL Instant Messenger Application simulates iChat’s text-based messaging, and enables several ways of communicating – voice, video, photos, web links and more. AOL Radio gives you access to 350 streaming radio stations, all organized by genre. Moreover, you can even stream music yourself. Developing applications for a plethora of operating systems (iOS, Android, Windows Phone, Blackberry, Symbian, etc) the FUN and MOBILE company is based in Poland, and has launched in 2007. The team of developers is working on mobile technologies that will port this industry towards new horizons. Electronic Arts is one of the top players in game developing, launching names such as Spore, John Madden Football, Tiger Woods Golf, Skate, Mirror’s Edge, Scrabble and Sudoku – the last two being just a little overpriced. Our number 2 out of 10 best iPhone app developers is Ambrosia Software. The company creates applications for both iPhone and iPod touch, and high-rated screengrab and recording applications for computers. Aki Mahjong, Mondo Solitaire, and Mr. Sudoku are the only games released by Ambrosia, but they are incredibly entertaining and well designed. Gameloft is one of iPhone’s most complete and reasonably priced developers. Platinum Sudoku, Uno, Battleship, Breakout are just few of the games released under the name of Gameloft; their graphic design is just outstanding. Besides developing their own games, Gameloft is also working on other companies’ games – Bejeweled, Braing Age, Puzzle Bobble. Are all these Apps developers or just Games developers? They are application developers, and some of them game developers.